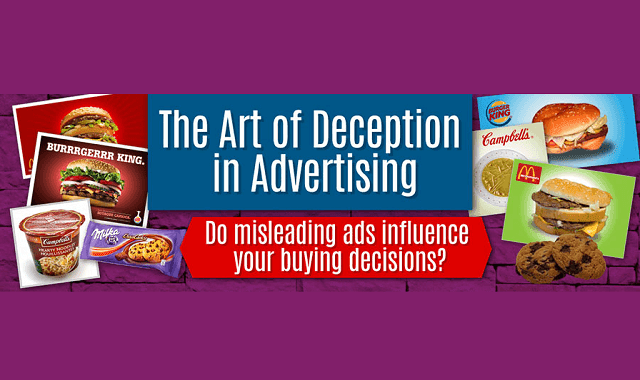 The Art of Deception in Advertising Do Misleading Ads Influence Your Buying Decisions? #Infographic ~ Visualistan '+g+"
An infographic that compares the fake shoot and real product of popular food, hotel and fashion brands. Alarmingly, the actual items look a lot different from their ads. Sometimes the fake out is funny especially in hotels and resorts. For example, an ad shows an infinity pool using a low angle, but in truth, the pool is more like an oversized jacuzzi. You’ll find more hilarious if not annoying hotel ads in the infographic.